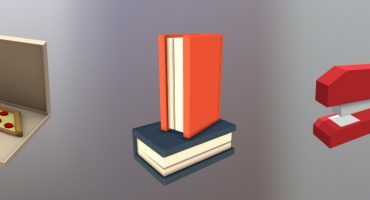 Update: The challenge is over but you can still follow the steps in the guide to learn how to turn you 3D scans into read-to-sell assets! Welcome to a challenge exclusively for sellers on the Sketchfab Store – the aim of the challenge is to equip you with everything you need to know to create some great selling 3D assets from your initial 3D scans. N.B. This challenge assumes you have a 3D scan to begin with and are already set up as a seller on the Sketchfab Store. If you want to learn about creating 3D scans, go check out these blog posts and find out more about becoming a seller on the Store here. It’s a longer challenge than normal (4 weeks) to give you enough time to capture some new 3D and learn the software workflows to turn it into a read-to-buy asset on the Store. During this time we encourage you to make extensive use of the forum to tap into the wealth of knowledge in the Sketchfab community. Capture one or more 3D scans for your store, optimized for re-use. Upload to Sketchfab, add the tag #StoreScanChallenge and set to paid download with a price of your choice. 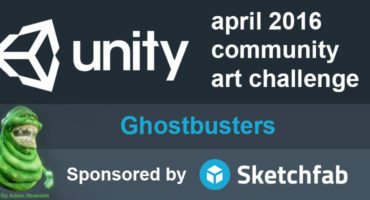 A $100 Sketchfab sponsored boost for a post about your work on Facebook, targeting known buyer audiences and run by our in-house marketing experts. Once you’ve created your scene, upload it to Sketchfab, tag it #StoreScanChallenge. Read on for advice and suggestions to that will help you take your 3D scan Store inventory to the next level! N.B. We won’t be taking you step-by-step through every process but hope to make you aware of concepts and software you should look into. To keep the playing field level we are focussing on free/open source tools for now. Before you begin: Plan Your Scan! 1. Before you begin: Plan Your Scan! N.B. If you haven’t already, we highly recommend that you read the Sketchfab guides to Selling 3D Models and Seller Guidelines – this is one of your best resources to improve your store. To help a 3D scan sell, picking what to scan is as important as how you scan it. Popular selling categories include architecture, nature & plants, people and animals. Now consider what you have the capacity to scan – is it easier for you to scan something on a local street or in a park with your DSLR or ‘phone or do you have access to a multi-camera rig and live models? As an additional note, always consider the possible copyright status of what you are scanning – is it in the public domain? Is it subject to active artistic copyrights or patents? Are you allowed to take photographs or scan it in the first place? If you’re looking to sell 3D scanned assets, the first thing to consider is who you want to sell to. Using this as a starting point will dictate the things you scan and how you prepare them. The Sketchfab Help Center has great advice for preparing 3D models for game engines and real-time rendering, animation, visual effects and off-line rendering and 3D printing. Whatever you scan, it’s a good idea to make sure you capture all of it. Even if what you’ve scanned is a unique object, if it’s only half there it’s only half saleable for half the price. You may get lucky and attract a buyer who is able to fix your incomplete work, but more than likely buyers will pass entirely on fragmentary and un-optimized scans. Whether you’re scanning a rock, statue, building, animal, vegetable or anything else make sure you capture it from every angle – you never know how a buyer might intend to use your model. Where possible, aim to scan more than one example of a subject to create an asset pack as this will make your scans more saleable. A buyer looking for a 3D scanned rock will probably actually want several to add some variety to the scene they are creating. You can still sell each scan individually too, but it’s worth considering a small discount on the total price of several scans if they are purchased in a pack. OK, so you’ve picked your subject and created a top quality scan – how do you make it ready for the Store? When you made your 3D scan, you not only captured the shape and colour of your subject but also the unique lighting situation it was in at the time of capture. Most buyers will want to re-use your scan in a new lighting environment (i.e. inside their game or VFX scene) so they won’t want shadows and highlights baked into the models they purchase. See this Seller Tip for more information. To get access to the Store forum, please apply here. A comparison of stages of simplification and file size. Original model by Daniel Pett. Most photogrammetry or scan software will have an option to simplify your 3D scan – this video shows you how to simplify in RealityCapture at around the 2 minute mark; this post shows you how to decimate a model in PhotoScan. Consider simplifying and exporting your scan at certain thresholds: 1k (thousand) faces, 5k, 10k, 50k, 100k, 250k. Obviously take into account if the lowest resolutions are usable (i.e. include enough detail) and remember to re-texture each time before you export. You can use a medium definition scan (say the 50k model) as the example, viewable model and include the other resolutions as additional files. Be sure to include information on included additional files in the model description – its an attractive selling point. Retopology is simplification’s more mature sibling – instead of arbitrarily reducing the face count of a model, retopology takes into account the form of input 3D shape as well as the face types (triangles, quads, polygons) that we want in our output mesh. As with simplification, you are trying to create the most efficient 3D geometry to describe you given subject – the lowest number of faces required to build your 3D model. Once you’re done creating the best geometry for your model you’ll need to re-apply textures to the mesh. At the very least you’ll want to re-bake the colour texture to your optimised mesh. Most scan software will let you re-import a mesh that you have optimised and re-texture it. For Games, VR & AR supply your files in OBJ, FBX formats. By now you hopefully have a beautiful 3D scan in multiple resolutions and file formats so it’s time to upload to Sketchfab and tell the world about your new model for sale! N.B. Much of this section is taken from the Sketchfab Seller Guidelines, be sure to go and read them in full! Clearly title your 3D model and use the Description to tell potential buyers about the intended use for your model i.e. games, offline rendering, 3D printing. Use this space to also share details of the different file formats, resolutions and texture maps that you have included as Additional Files. Remember to add appropriate categories and tags to make it easier for people to find your model when searching. Buyers can instantly understand what they are buying and who they’re buying from. Once you’ve uploaded and described your model, jump into the 3D settings to make it look its best. First, choose a plain colour background – this will make the results of your hard work the focus both on the model page as well as on thumbnails when buyers are searching. Don’t be afraid to add branding but keep it simple and don’t distract from the 3D model. Make sure you set up Materials properly, add some subtle Lighting and Post-Processing Effects to show off details. Remember not to get carried away however – people really just want to see your model so don’t set everything to 100% – one light and a little sharpness is often all you’ll need. Consider adding Annotations to show off the details and best sides of your scan that a buyer might miss on first glance. If you’re selling to the VR crowd, make sure you position and scale your model using the VR Editor. The minimum price on the Sketchfab store is now $3.99 but you can obviously charge more for a model that is offered in multiple formats and resolutions. Search the store for similar models and price in that range. See the Sketchfab Store pricing guidelines and this Seller Tip for more information. Once you’ve created, optimised, uploaded, described and posted your 3D models you now need to tell the world about your work! This is not as easy as it sounds but the more you share your work, the more people are likely to check it out and consider buying. Well if you’ve read this far we can take it that you are interested in creating and selling 3D scans – time to get out there, scan some objects and start optimising them for sale! Head over to the challenge forum thread to share your work in progress and get feedback on your work. 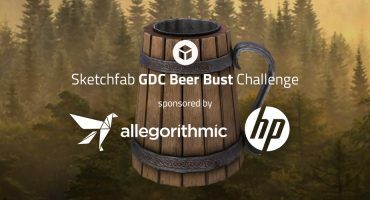 Contestants models must be uploaded to Sketchfab and tagged #StoreScanChallenge to be considered. The winners will be contacted by Friday 4th May.